Sleepy Hollow MegaThread - S3, E3 - "Blood And Fear"
This is the O-Deck megathread for discussion on Sleepy Hollow Episode 3 “Blood And Fear. Be aware, there will be spoilers after the break. I know we’re only three episodes in but so far this is my favorite episode of the new season. All the scenes felt right and it felt like the story flowed and had good pacing. 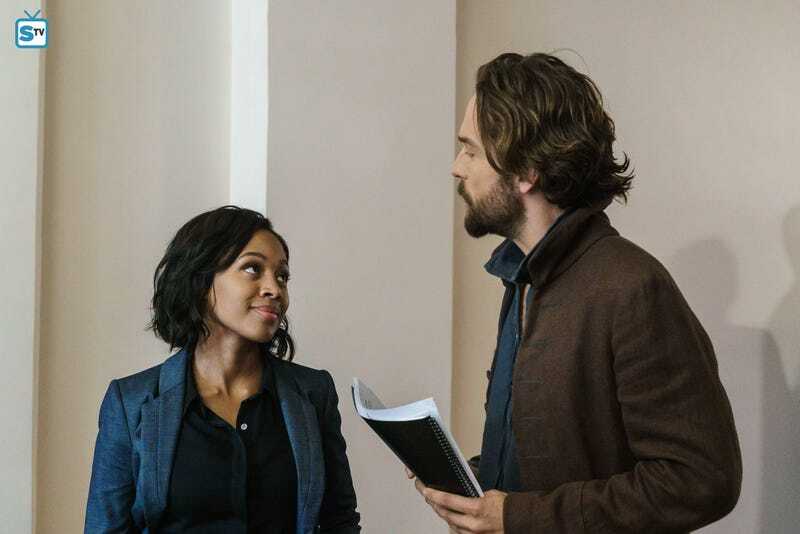 Everyone had some nice moments, from Abbie and Ichabod’s opening scene at the government office, to Jenny getting to actually do stuff. It feels like the writers are starting to get into their grove again. A few random thoughts. I loved the opening scene with Ichabod ranting about the government and what the forefathers would have thought. Abbie just had that look like this was nothing new and her calling when he would use a Jefferson quote was perfect. I am quite intrigued about the history between Abbie and Daniels. I think that will be something that comes up more as the season goes on. It was nice to see a bit of Ichabod’s non war backstory. Seeing him as a younger man and learning where he went to school was different and it was nice to see. But as all things with Ichabod he is at the center of a major historical event. Of course the Jack The Ripper killings were because of a demonic knife, that makes sense. On the other hand, no Betsy Ross so yay! I really want to learn what Pandora’s end game is. It looks like she is trying to use fear as a weapon. All the enemies have had a fear element, but it seemed like this week she was making it personal. I loved when she appeared and taunted Abbie about being alone and fighting alone. Of course she wouldn’t need to do that if her partner Witness wasn’t a bloody wanker who thought injecting himself with malaria was a good idea. Speaking of bad ideas, Abbie needs to tell Jenny about their dad. Even if she never talks to him, Jenny deserves to know the truth. Speaking of Jenny, YAY SHE’S DOING THINGS! It was nice to see her get more screentime and I like the idea of Corbin having more apprentices. I think there will be a lot more to that man than we ever knew. I am also liking the team up of Jenny and Joe. They fit together well and play off each other well, without that blatant obvious attempt at sexual tension we got from that Han Solo wannabe poser Hawley. I’m sure i’m missing a lot of stuff. Give your thoughts in the comments below and as always if you have other recaps you want to share post links and i’ll add them.